Hello Nokia is surprisingly relaunched the very successful mobile phone of history Nokia 3310 at Mobile world Congress 2017. Recently Nokia launched Nokia 6 smartphone for the Chinese market and now at #MWC it has finally entered into international market. 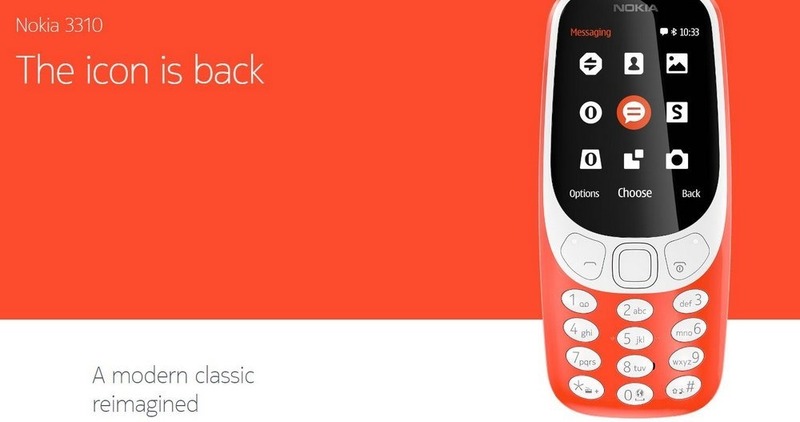 Now HMD Global has launched Nokia 3310 with similar design and with some extra new features. Nokia D1C: Release, Specification and Features. Back in 2000s Nokia 3310 was known for their indestructible property even today if you compare any phone with Nokia old models you will surely notice a big difference. Nokia 3310 retains the basic design but looks more elegant. The custom deign gives phone a fresh look. It has a long lasting battery having 22 hour talk time and 31 day standby time. Nokia 3310 now will be able to store up to 32 GB using microSD card. Look at the specification chart below. All these phones will be available in India in the second quarter of this year. Nokia 3310 feature phone will be available at EUR 49 (Rs. 3,500) and will be available starting Q2 2017. These smartphones from Nokia will be competing with the Chinese players like Xiaomi, Gionee, LeEco and Lenovo. For developing countries like India, having basic 3G or 4G services has become the necessity as market is evolving with great speed, it is important for HMD Global to bring 4G-enabled feature phone for people who have low budget and are willing to buy a Nokia smartphone.